The Witcher 3: Wild Hunt is a massive, immersive game that you have to experience for yourself. It's probably not the type of title that you want to blitz through in a few days; instead, it's a role-playing game that you want to get lost in, and carve out your own adventures. However, with any release of this size and relative complexity, it can be helpful to start on the right note. With that in mind, we've put together this hopefully helpful little guide that covers the basics of being an effective Witcher. Journey forth, and drink deep from the fountain of knowledge. The world in The Witcher 3 is gigantic, but you can't just gallop across the map and expect to arrive at your location in one piece. There are monsters everywhere, and they're all out to rip you apart. Some of them will be too tough for you to handle in the beginning, because enemies don't scale to your level. This means that each and every creature that you come across will have a set level – it'll stay the same strength whether Geralt's sitting at Level 1 or Level 50. But you shouldn't worry about running into potential challenges. Your trusty steed, Roach, can outrun most enemies at full speed, and thanks to the minimap, you should be able to see monsters as little red dots long before you actually come into contact with them. Unfortunately, you won't be able to actually tell how strong your foe is until you get close enough to see their health bar – so if you're not really sure what you're up against, always have a backup plan. Be ready to run, or bring a good few healing items. Tying neatly into our last point, always remember to manually save your game. When you're busy fulfilling quests, the game will automatically save your progress at certain checkpoints, but when you're out and about exploring the wilderness, a quick jaunt over to the save menu can, er, save you a lot of time if you're unexpectedly struck down by a powerful beast. The good thing about manually saving is that you can do it just about anywhere, as long as you're outside of a conversation and not engaged in battle. With this in mind, you should definitely get used to hitting the options button and clicking 'Save Game' when you feel like danger could be lurking around the next corner. It only takes a second, and it could prove to be unspeakably useful. Surviving against deadly monsters is largely a matter of timing in The Witcher 3. Your dodge roll, which is mapped to X, is key when avoiding lunging attacks from big enemies who cover a lot of distance with a single swipe. Meanwhile, your sidestep, which is mapped to circle, is perfect for avoiding smaller blows, like a swing of a bandit's sword or the glob of muck that a water hag's just thrown your way. Both evasive techniques are crucial in combat, and it's worth pointing out that you can sidestep frequently without much pause, but you shouldn't be jumping and rolling around for the sake of it. Move about too much, and you'll likely be caught by an attack anyway, as Geralt will already be halfway through an animation. As with your own sword swinging attacks, it's best to evade only when you need to, or when you have to put some space between you and your enemy so that you can catch your breath. It's a bit of a cliché when martial arts masters say that excess movement is a waste, but that age-old teaching definitely applies here. Ah, good old grinding. In role-playing games of old, the grind was all but a necessity if you wanted to progress. Come up against a boss that's too tough? Time to head back to the world map and slaughter hundreds of enemies in order to level up a few times. As the years have ticked on, grinding has slowly been phased out – at least when it comes to most Western RPGs. 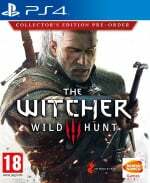 Many titles now employ systems like enemy level scaling, but without such workings in The Witcher 3, does that mean that you have to grind for experience points? The answer to that question is no. While there will be some quests and monsters that you may find too difficult at your current level, never be disheartened. Going out into the woods and killing the same pack of wolves day after day will net you a pitiful amount of experience, so you're better off just finding and completing quests that are sitting at or around your level. And, although there'll be times when it seems like all of the quests that you're picking up are beyond your capabilities, don't give up. There's almost always something on the map, or a quest that you've missed, that's tailored specifically to your level – you've just got to go exploring. No, Geralt isn't into meditation purely because it may be deemed the 'cool' thing to do – it's actually an integral part of a Witcher's routine. Meditation takes discipline, and our grizzled protagonist has got bundles of the stuff. As long as you're not engaged in combat, or taking part in a particularly hectic quest, you can hit L1 at any time to open up the radial menu. From there, push square, and you'll be taken to the meditation menu. Here, you're able to pass the time by meditating – simply set the clock to your desired time, and watch the hours fly by. Not only does meditation let you skip to specific time, but doing it also fully restores your health on everything but the hardest difficulty settings. This is especially handy when you're delving into a dungeon, and you know that there are more fights ahead. If you've taken a beaten already, get that meditation menu open and close your eyes for an hour – when you wake up, you'll be back to full vitality. Throughout The Witcher 3's world, raw alchemy ingredients can be found just about everywhere. From flower petals to fruit, and monster limbs to crystal dust, you can spend hours just running around and filling your pockets with everything that you lay your eyes on. However, we'd advise against doing this for a couple of reasons. Firstly, it's not very fun. Secondly, you really don't need all of those ingredients. By all means, grab a few flowers as you walk through a meadow, but a handful is enough. Alchemy in Wild Hunt has been streamlined, in that you only need to create a potion once for it to stay in your inventory. Every time that you brew up one of Geralt's main tinctures, it'll start off with three uses. Drink the formula three times, and it's all gone, but worry not – you can refill your flask quite easily. All you need to do is make sure that you have some sort of alcohol in your inventory. Then, when you meditate, you'll automatically use that alcohol to restock your potions. Nifty, eh? The Witcher 3's got a pretty standard crafting system, but the good part is that ingredients and materials hardly take up any room in your inventory. If you're weighed down by crappy weapons that you've picked from the bodies of bandits, or inefficient armour that you've nabbed from a treasure chest in the heart of an ancient ruin, your first port of call should be the nearest blacksmith. It's more than likely that the equipment that you're carrying around isn't worth much coin, so your best bet is to have it all dismantled. By taking your unwanted gear apart, you'll acquire the components that it's made up of. Dismantle a sword and you'll get a hunk of metal and a wooden haft, for example, and then you can reuse these bits and pieces when you want to forge a better weapon later down the line. During your first few hours in Geralt's shoes, you may feel like you're getting the snot kicked out of you by just about everyone and everything. That's natural in an RPG – but Geralt's supposed to be a total badass, right? Well, the fact of the matter is that yes, Geralt is indeed a badass – it's you that's the problem. Emerging victorious over your enemies is as much about prior knowledge as it is raw skill. The first time you fight a griffin, you're probably going to have trouble, but that battle is a learning experience. You now know its attack patterns, what magic works best, and when it leaves itself wide open to your offensive, and the next time that you come across one of the winged buggers, you'll be ready. It's times like these where it's a good idea to consult your bestiary. Found under the glossary tab on the touch pad menu, the bestiary shows the weaknesses of any monster that you've previously slain or have prior knowledge of. You may feel somewhat weak and vulnerable in the beginning, but you will get better – trust us on this one. Who would have thought it – a game that's packed full of smart and deadly monsters is actually pretty tough at times. Boss enemies can be a real pain in the neck without proper preparation, groups of smaller foes can overwhelm you if you're not careful, and over levelled beasts can topple your confidence in an instant. If you've hit a brick wall, know that it's never worth getting frustrated. You've bought this release with your own money – and you're here to enjoy it. If you're having real trouble and the fun's slowly seeping away, head into the options menu and change the difficulty. On the easiest setting, dubbed 'just the story', you'll take much less damage from enemies while dealing out more punishment. Things can still be tricky at times, and you'll still need to make use of timely dodges and magic, but if you're inexperienced with action games, or you're simply struggling to find your footing, it's a well balanced difficulty that's perfect for learning the ins-and-outs of combat. You can switch the difficulty at any time – although doing so will null any difficulty-related Trophies – so experiment and see which setting suits you best. As we've mentioned countless times now, The Witcher 3 is a huge RPG, so it's best to get comfortable early on so that you enjoy the ride. Have you got any hints or tips for all of the novice Witchers out there? Have you got any good stories to tell about your adventures so far? Sit around a cosy campfire in the comments section below. Thanks for these helpful tips. Can't wait to dig into the game later. How big is this game? 40-50 gb I assume? @T7L3RB right now it's only 30GB. I've been playing since yesterday evening and was pretty surprised by how little space it takes up right now. It'll easily jump to 40 and 50 respectively though when the expansions come out. @JesWood13 that's much smaller than I was expecting! No need to get a new hard drive just yet then. Nice. Good tips, especially the collecting. I feel like dragon age and shadow of Mordor have taught me to just collect everything. Thank you Mr Ramsey, excellent advice that's just what I needed before setting off. Any tips for fighting the Noonwraith by the old well? I checked it's weaknesses and oiled up my (silver) blade with spectre oil as it was indicated as being weak to it. Damn thing kicked my backside and from what I could tell any blows I landed were not doing much if any damage. I could swear it's health was regenerating too. Any advice is appreciated. @Garlicbread316 I read that you use the Ygni sign (the far-right one that slows foes) and it'll take MUCH more damage. I managed to kill it within a minute. @Delphox Thanks for this. Yeah I went back and re-read the bestiary entry for it and saw that it was also week against that sign. Needless to say I have now kicked it's spooky arse. @Garlicbread316 try the sign that makes a trap upon the ground, I believe it said to use that sign in the beastiary entry. Also using the right oil and potions helps.